Any type of accident with a truck can cause significant injuries. But, the good news is, you may have multiple parties responsible for your injuries; which means multiple parties you can sue for compensation. Truck Collisions Truck accidents are covered under Florida negligence laws and under that, drivers must exercise a specific level of care while on the road. If they ignore the laws or fail to act reasonably, then they could be liable for your injuries as well as any injuries to your passengers. While there are numerous types of truck collisions, these three are the most common in Florida. A fire truck will travel at high speeds to save lives. While their drivers are not supposed to drive recklessly, in the heat of the moment, it is easy for a fire truck driver to remember how fast they are going. If you or a loved one was hit by a fire truck, then you may be able to sue that fire department and the city for your injuries. But, you will have to prove that you did not get in the way of the vehicle; instead, it hit you outright. Semi-trucks and open-bed trailers that are carrying a heavy cargo load are prone to dropping an item or two. When the load is not properly secured, these items could fall off at high speeds and injure or even kill someone. If you or someone you know was injured because of cargo debris, then you may be able to sue the driver, trucking company, and even the company responsible for loading the cargo. The driver may be responsible if he or she knew the load wasn’t secured and drove anyway. Drunken truck driving is a common occurrence. If a truck driver causes an accident because he or she got behind the wheel intoxicated, the trucker and his or her employer could be liable. 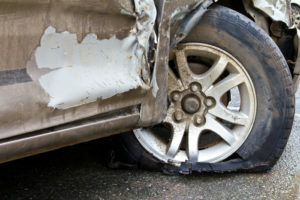 If the driver was an independent contractor, then the employer may not be liable. But, because the company hired that contractor, they should have exhibited a level of control to ensure their drivers were responsible while on the road. If you or a loved one was injured in any type of accident with a truck, then you need an attorney by your side. The team at Leifer Law Firm can help you seek compensation for your injuries and losses. Call us today for a free consultation regarding your case now.